Goodfellow 2000 Ltd offers high standards of manufactured components, with the flexibility to accommodate your specific manufacturing needs. With our modern manufacturing environment and extensive precision engineering facilities, we are flexible enough to handle medium to large batch production runs through to prototype and one-off component manufacture. Our 1-2-1 personal service starts from the moment you get in touch with us. Email your drawing through, along with any specific requirements and we will aim to reply with a competitive quote within 48 hours. 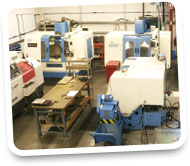 We offer precision engineering with assured, realistic schedules and confidence in manufacture, supply and delivery. We also have OneCNC interface and machining technologies, which lets us accomplish more in less time, enabling us to pass cost savings to customers. Our inspection team maintain an optimum level of accuracy in regard to tolerance and customer specification, resulting in each component being of the highest quality, providing excellence in engineering every time. CNC lathes 3 jaw and collet chuck capabilities, with multifeed short magazine CNC bar feed with 50mm through spindle.